Today’s readings are from Exodus 23, John 2, Job 41 and 2 Corinthians 11. Exodus 23 begins case laws with laws about justice (23:1-9), then describes the religious life of this new theocratic nation, Israel. 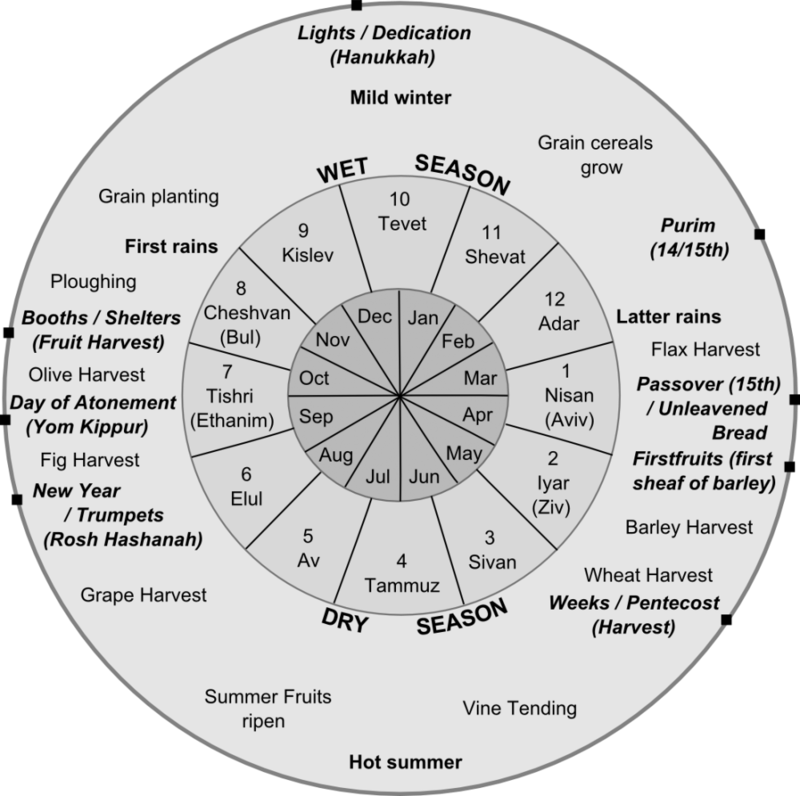 First, the Sabbath (23:10-13), then the three national feasts: Passover/Unleavened Bread, Firstfruits, and Ingathering (Pentecost) (23:14-17). This is followed by laws about sacrifices and offerings to God (23:18-19). Finally, God promises His presence and blessing as long as they are obedient (23:20-23). 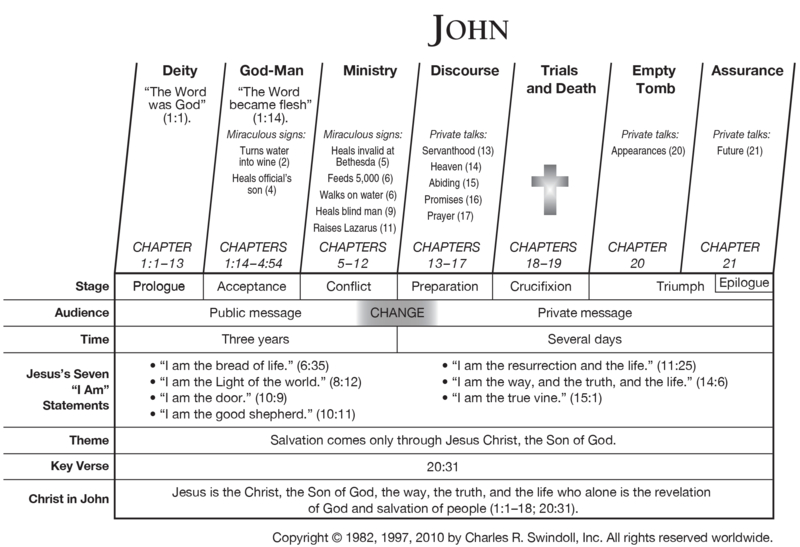 John 2 includes two main events–the wedding at Cana (2:1-12) and Jewish cleansing the temple in Jerusalem (2:13-22). Kirbeth Cana would be on the first “hill” beyond the olive trees. The “hill” is actually a “tel,” a layering of city remains from different ages. The wedding at Cana of Galilee provided the opportunity for Jesus to do His first miracle. John specifically calls them “signs” because the objective was not merely to show off, or even to meet people’s needs, but to reveal the true identity of Jesus. Jesus gently rebuked His mother’s request to help, because his “hour has not yet come” (v. 4), yet He went ahead and gave instructions that resulted in an abundance of really good wine. So this was Jesus’ “first” of seven signs. John alone recorded that “Jesus went up to Jerusalem,” topographically again, for three separate “Passover” celebrations. He referred to a second Passover in 6:4, and to a third one in 11:55; 12:1; 13:1; 18:28, 39; and 19:14. Some interpreters believe that he mentioned a fourth Passover in 5:1, but this seems unlikely. This first one was evidently the Passover of April 7, A.D. 30, the first one after Jesus began His public ministry. While there Jesus saw the buying and selling, and the extravagant prices. 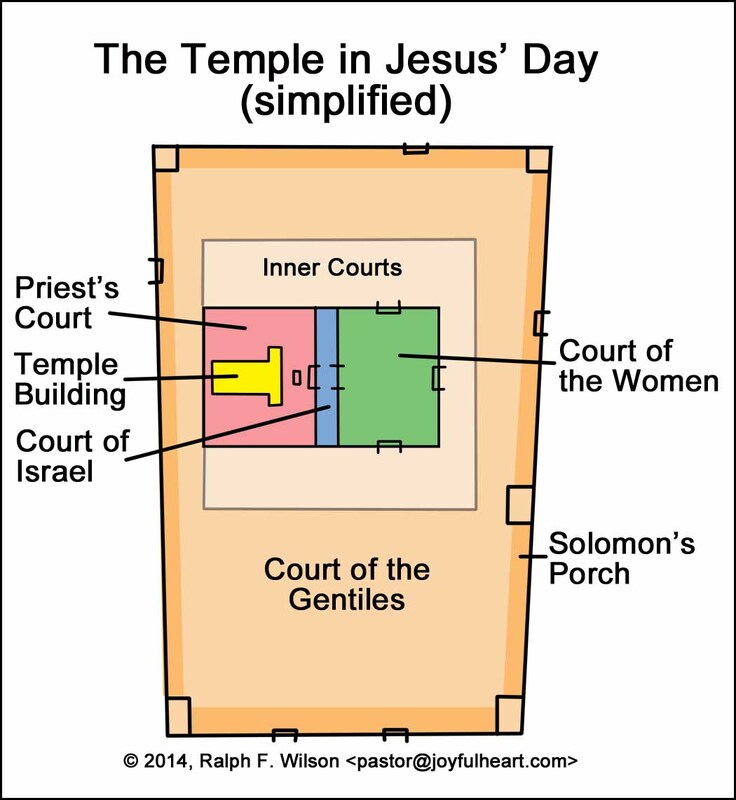 Though Jesus’ action was violent, it evidently did not constitute a threat to the peace in the temple area. Roman soldiers from the adjoining Antonia Fortress would have intervened quickly if it had (cf. Acts 21:31-32). Jesus was forceful but not cruel. There is no indication that He injured anyone with His fairly harmless scourge of cords (Gr. phragellion ek schoinion). The Old Testament predicted that Messiah would come and purify the Levites (Mal. 3:1-3; cf. Zech. 14:21). Jesus’ action perhaps recalled these prophecies to the godly in Israel who may have wondered if Jesus was the Messiah. His actions here did not fulfill these prophecies, however, which appear in millennial contexts. Jesus will yet return to the temple that will be standing in Jerusalem, when He returns at His Second Coming, and purify the Levites serving there then. This will be preparation for His messianic reign that will follow. The disciples saw Jesus’ zeal, perhaps recalling Psalm 69:9. But the Jews wanted Jesus to produce some sign to prove His authority. Jesus gave them a sign, but not the kind they wanted. They wanted some immediate demonstration of prophetic authority. Instead, Jesus announced a miracle that would vindicate His authority after He died. He would rise again. John 2 ends with a somewhat cryptic statement. Many believed in Jesus, but Jesus did not believe in them. Why? Because He knew all people and whether they were genuine. This seems to set us up for John 3 and 4 as Jesus encounters a religious Jew and an immoral Samaritan. What was in their hearts? Seeing the miracles prompted initial faith in many people (the verb is pisteuō, “to believe”) — and that was good, so far as it went. But faith that rests on miracles alone, and doesn’t mature to embrace Jesus and follow him, is shallow and fickle. Yahweh’s purpose in directing Job’s attention to such inexplicable animals on land (Behemoth) and in the water (Leviathan) seems to have been almost the same as His purpose in His first speech. He intended to humble Job by reminding him of his very limited power and wisdom, compared with God’s, so Job would submit to His Lordship. One might conclude after reading these speeches of Yahweh that God is not very compassionate. He may seem more concerned about establishing His own glory than about Job’s suffering. However, we need to remember that God could have said nothing. Furthermore, by directing Job’s thinking as He did, God did what was best for Job, the truly loving thing. He did not just give him answers to specific questions but a larger vision of Himself that would transform Job’s life forever after. 2 Corinthians 11 continues Paul’s defense of his apostolic authority. Paul defends his credentials, though it appears as foolishness. It is important that the Corinthian Christians understand and trust Paul’s apostolic credentials because Paul is jealous with a godly jealousy for their hearts. It is important that the Corinthian Christians understand and trust Paul’s apostolic credentials because Paul knows they are attracted to the false apostles who preach another Jesus. Paul feels like he has to defend himself against the super-apostles. Even Satan can appear as an angel of light (v. 14). Ultimately, Paul reveals that his apostolic credentials are the scars he has borne (vv. 22-33).